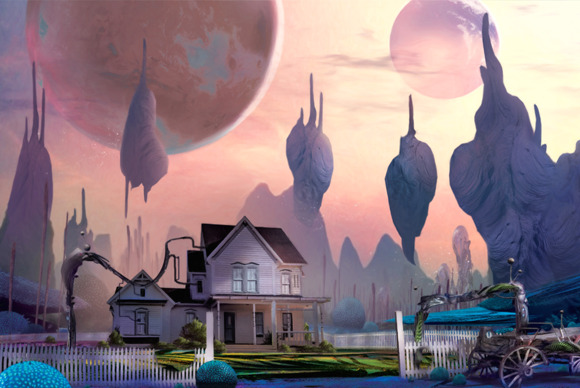 I recently sat down to talk—at length—with Rand Miller, co-creator of Myst and head of development studio Cyan Worlds. 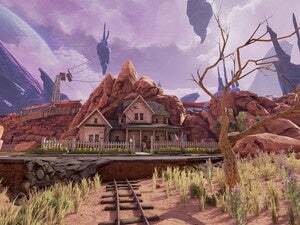 Below you'll find 6,000 or so words on everything from his new game, Obduction, to exploring New Mexico, motion sickness, the Oculus Rift, Jonathan Blow's new game The Witness, the death of first-person adventure games, and more. That’s gotta be pretty bad for a videogame dev. That’s my dad’s main problem too. My dad played a lot of 2D games back in the day but now he’ll only watch me play them and after about half an hour or forty minutes he’s like “I’ll be back,” and then he walks off to try and settle his stomach. RM: Exactly, sounds familiar. Or just move back far enough. If I’m back far enough, it’s okay. So it’s a field of view type of thing? RM: Right. And I actually did okay with the Oculus. We had it working with RealMyst, this version of Myst that we’re updating, and we hooked it up and you’re able to wander through Myst Island. It was actually pretty cool; I did not go to the bathroom and throw up afterwards. RealMyst replaced the original game's pre-rendered 2D backgrounds with a fully-3D environment. RM: Hopefully. I don’t have any announcement yet, but obviously it’s something we want to do. It takes a little bit of work to make sure you’ve covered your bases for the Oculus Rift, but the timing’s perfect because we have this update we’re doing and Oculus is looking for cool stuff, so we’re working on that. Whatever sees the light of day, I’m not sure, but we’re definitely trying. What’s going in to the update? RM: We just freshened it for the 20th anniversary. We’ve been working on it for a while. We don’t want to mess with Myst that much, Myst is a classic. But RealMyst? It’s technology driven and it was kind of showing its age with the old engine and the old textures and stuff. We’re updating that with a lot of new stuff and a day/night cycle and a few other bells and whistles that are kind of fun. These gorgeous Riven graphics took up five CD-ROMs back in 1997. H: Yeah, there’s a fan project right? RM: Right, fan project. They’re attempting to do that with Riven and we’re trying to support them but it’s a big job and money-wise we don’t have the resources to do it and I’m not sure how big the audience would be for that, so we’ll see what the fans can do. You raised a third of your Kickstarter goal in less than a day. What would you be doing if Kickstarter didn’t exist? RM: Honestly I think we’d be concentrating on smaller projects. The thing that’s been keeping us alive is a lot of our legacy products and the mobile market. And the mobile market not just as a platform for development but as a platform for publishing as well. It’s frankly spoiled us because we bit our teeth with the publisher model and it’s good if you get a good publisher. 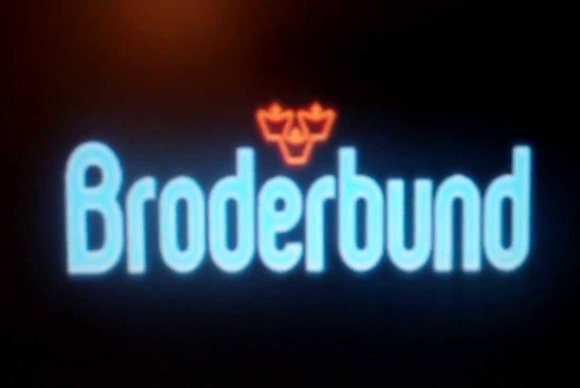 We had our Broderbund days and that was a pretty good publisher as far as that goes, but we also had horror stories with a few other ones. Anyway, long story short, the whole idea of being in control of your destiny and publishing yourself and being able to do things this way is a breath of fresh air even if they’re not as big of projects as a publisher might fund, they’re more efficient because the publisher can sometimes delay a project. They’ll say, “Can you guys do this?” or “Can you guys change this?” or “Can you put more guns in it?” or something like that. Do you think Cyan would’ve eventually buckled to publishers or tried to find a publisher that supported you more? So in many ways it was that bootstrapping that allowed us to do Myst. It’s a lot of work and you don’t build mansions and buy yachts with that, but it’s really satisfying to control your own destiny.